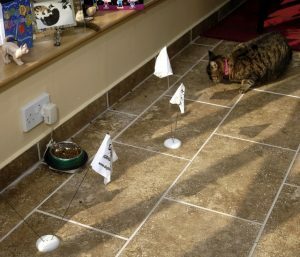 Here at CatFence, we are unique as we are the ONLY UK company to offer a complete professional installation, and onsite training with you and your cat, with ongoing aftersales support and professional grade products. With many years of experience in the field, together with a training programme developed by ourselves and pet behaviourists we obtain a 99.5% success rate on all our installed systems, and the remaining 0.5% have been contained after further training. 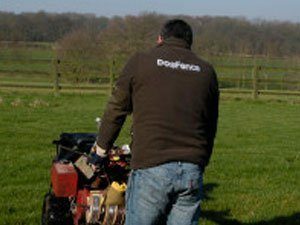 HOW DOES THE CATFENCE INSTALLATION SERVICE WORK? Firstly and most importantly it is not necessary to visit your property to give you a price for your pet fence. Our office staff all have access to a professional land surveying tool and in most instances we are able to access a map of your property to measure the boundary, assess the terrain and give a very quick and precise estimate. If you do not want to “fence” the whole of your property we can draw out options to suit your requirements. In order to give you an estimate we simply require your location in the UK, (postcode and house name). We are able to install on almost any terrain including woodland, slopes (it is not always possible to bury on very steep terrain), formal gardens and through streams and paddocks. On the day of installation the Installer/Trainer will walk around the property with you to discuss the best route for the boundary cable and locate a suitable electric supply for the transmitter (in a dry area with a standard 240 volt socket). We are looking to give your cat maximum room in the area (safety zone), but also looking to prevent a possible boundary cable break. Where possible we bury the cable but in some situations it may be preferable for the cable to be placed above ground. Our cable laying machine will bury the cable to a max depth of 6″ (depending on the terrain) in order to try to avoid any underground wires or services that you may have on site. With cats we need to consider any natural ladders that they may be able to utilize to climb up and over the signal zone. 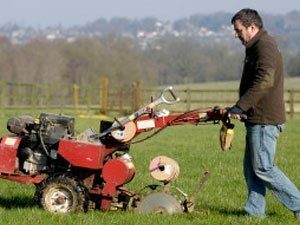 We always ensure that we install your system to the highest standards by using our discreet cable laying machine which makes minimal disturbance to your formal lawns and reduces the chances of a cable break. All our cable is heavy duty to further protect your system. After burial a small groove (approx ¼”) may be seen for few days. The cable will be buried under your driveway; tarmac & concrete drives will receive a small ½” cut which will be sealed afterwards. Lastly all our installed systems are supplied with our Professional heavy grade cable which is suitable for direct burial and all weather extremes. Our unique cat training protocol offers a simple stress free and safe approach. We cannot offer the same training for cats as we do for dogs as a cat’s personality differs dramatically. 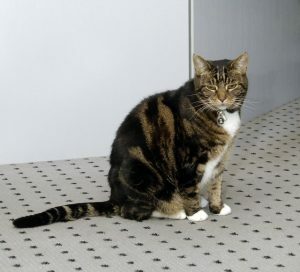 Cats will rarely walk on a lead and do not accept verbal training in the same way that we use for dogs, so why should their training be lead orientated? Their movement is different and, therefore, so should their training program be different. Our training program takes into account cats natural curiosity, movement and mentality and has been tailored to suit a cats personality. All our cat training is carried internally so that when the cat is allowed outside the cat is 90% aware of how to react to the system. After the system is installed, cat training begins using an indoor unit. The outside system is not activated for about 2 – 5 days while the cat adjusts to and learns the system on the indoor unit. Using one of our indoor units (which we loan the owner for 14 days the cat is trained in the safe confines of the home).